Historically, there are two examples of success of these strategies of revolutionary defeatism and revolutionary defensism: the role of the Bolsheviks in the Russian Revolution is regarded as a success of revolutionary defeatism, in which the defeat of the Tsarist Russian Empire undermined the government and gave rise to political and social revolution; and Mao’s Communists in the Chinese Revolution, in which the defense of China against Japanese imperialist attack undermined the nationalist Kuomintang and allowed for Communist-led revolution. The point of revolutionary defensism was to be better defenders of the country than the nationalists could be, in that the nationalists, in upholding the nation-state as such, must necessarily compromise with global capitalism—“imperialism”—in ways the Communists, as anti-capitalist, would not. This did not mean to be better nationalists than the nationalists. Socialism, let alone Marxism, was not meant to be a political ideology of “national liberation,” but rather of global political and social transformation, which was meant to better—and indeed truly, because more fundamentally able to—meet the needs of liberation from national oppression under capitalism. Today, such specificities and true horizons of politics of social emancipation are lost in the “anti-imperialism” of the pseudo-“Left.” Today’s “Left” has more in common with the Indian National Army (INA), which sought help from the Japanese against the British during WWII. But this was not the Communist but rather the fascist version of “anti-imperialism.” It should not be the Left’s. (Indeed, Hitler hosted INA leader Subhas Chandra Bose in Berlin as a fellow “anti-imperialist.”) As the Burmese nationalist Aung San, father of democratic activist Aung San Suu Kyi, put it, “The British sucked our blood, but the Japanese ground our bones.”1 Mao and his Chinese Communist Party celebrated their WWII allies U.S. atomic bombing of Hiroshima and Nagasaki. The German and Japanese national-fascist oppositions to the U.K. and U.S.-led global capitalist “imperialist” order were no good. Neither are today’s oppositions. 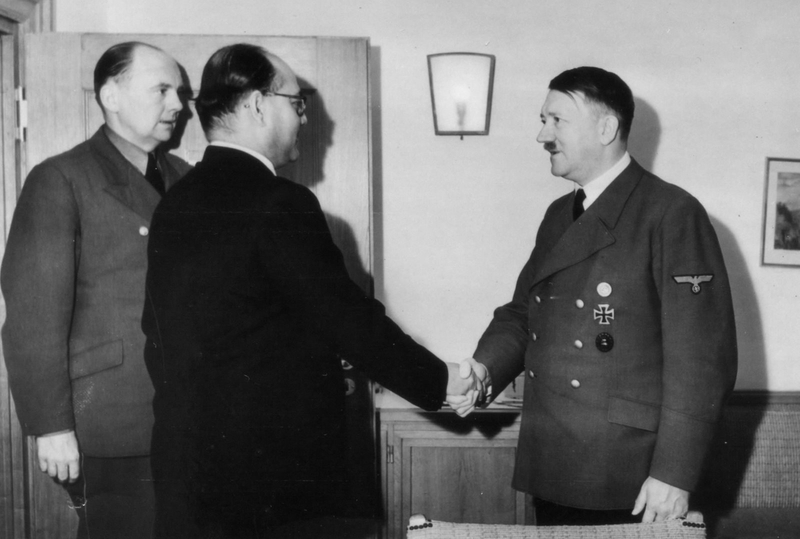 Indian nationalist leader Subhas Chandra Bose meets Adolf Hitler in 1942. 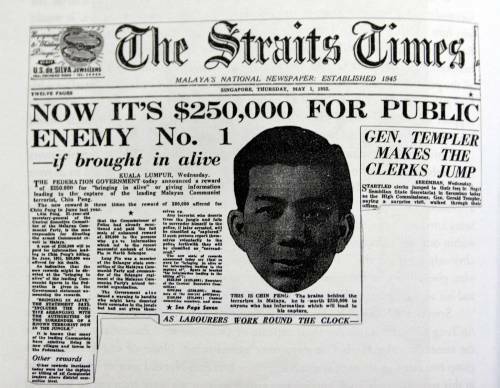 The headline on page 1 of The Straits Times newspaper of 1 May 1952 stating: "NOW IT'S $250,000 FOR PUBLIC ENEMY No. 1—if brought in alive." The person referred to (and pictured) was Chin Peng, a long-time leader of the Malayan Communist Party who led a guerrilla insurgency during the Malayan Emergency and afterwards. Originally published in The Platypus Review 60 (October 2013).